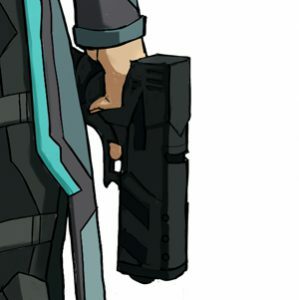 A hand-held firearm, meant to be used with a single hand. Abbreviated as SBE. It is engineered using fehrtech principals, giving it decisive stopping power and complete reliability of function in environments with extreme echomagnetic phenomena. StrongBox Pattern weapons are engineered with the mentality of fitting all necessary mechanisms below the main barrel of the weapon, as opposed to oculus pattern weapons. StrongBox firearms vary from primitive fehrguns to advanced automatic rifles.